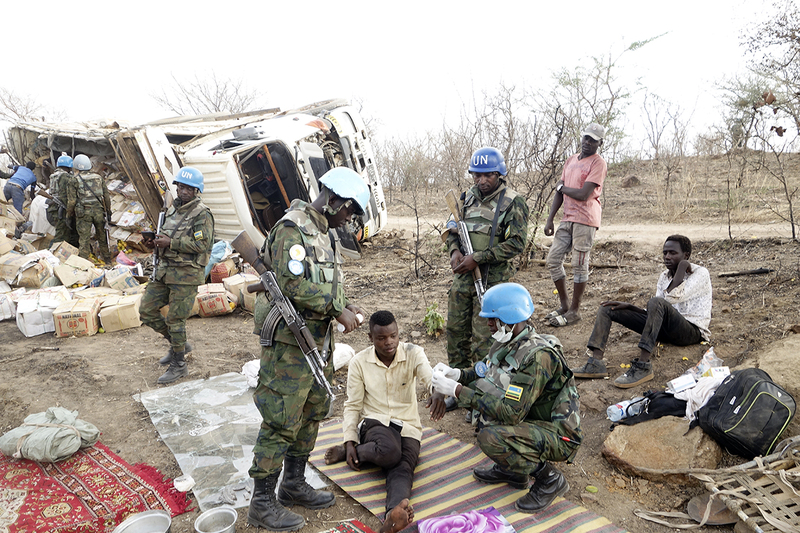 On 13 April 2019, UNAMID peacekeepers from Rwanda provided medical and logistics support to passengers injured in an accident involving a local commercial truck on the Golo to Rockero road, in Central Darfur. This is part of the Mission's efforts to support local population in its Area of Responsibility. Photo by Kone Mouroulaye, UNAMID.